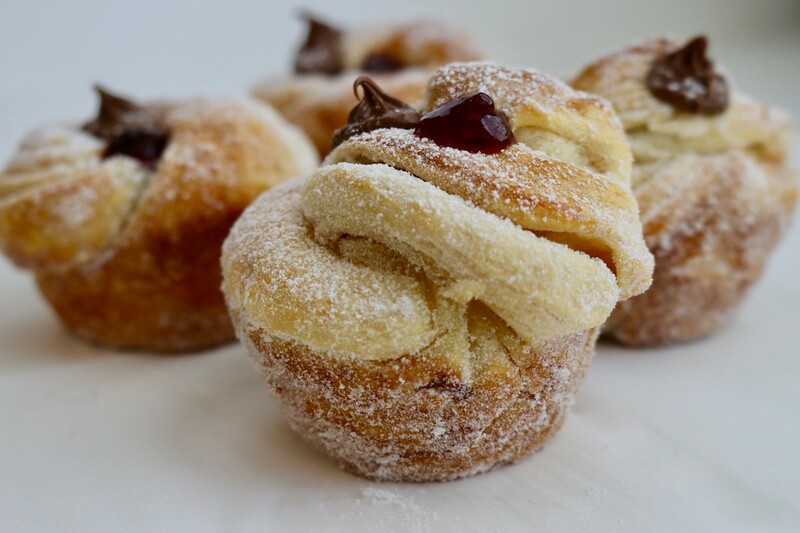 Based of the famous "Cruffin" made popular by Mr. Holmes Bakehouse in San Francisco. Easy and cheaper than a trip to San Fransisco! 1. 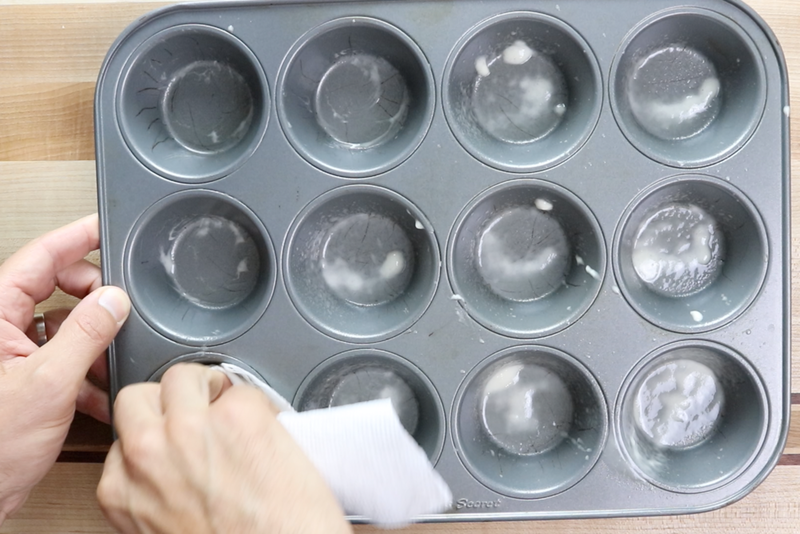 Preheat oven to 375 F. Grease 12-cup muffin tin with butter or baking spray. 2. Take one tube of the crescent rolls...open and divide in half on the perforated line. 3. Lightly spread butter on top of both halves. 4. Roll each rectangle into a tight roll using the longer side of the rectangle. 5. Then, cut each roll in half vertically down the center. Grab the ends of each piece of dough and gently pull them in opposite directions to stretch the dough a little. 6. Twirl the dough roll into a kind of knot and tuck the ends underneath – they should not be too tight. Repeat steps 2-5 with remaining two rolls of crescent. 7. Create egg wash by mixing egg and water together. 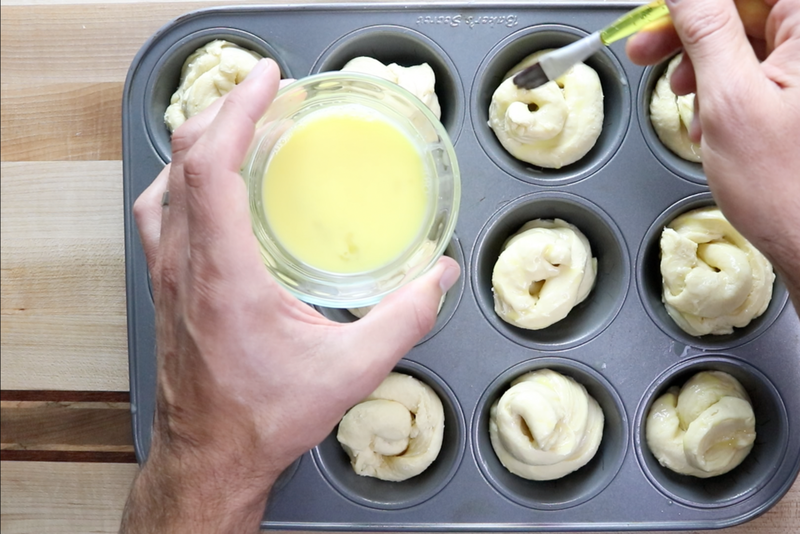 Brush the Croissant Muffins with egg wash before putting them in the oven. 8. Place the muffin pans in the oven and bake 15-17 minutes until deep golden brown. 9. Take them out of the oven and let cool for 5 minutes. While slightly warm, roll the Croissant Muffins in the sugar until completely covered. 11. Fill your muffin with desired filling using a frosting bag with a tip and fill each muffin to the top. 10. 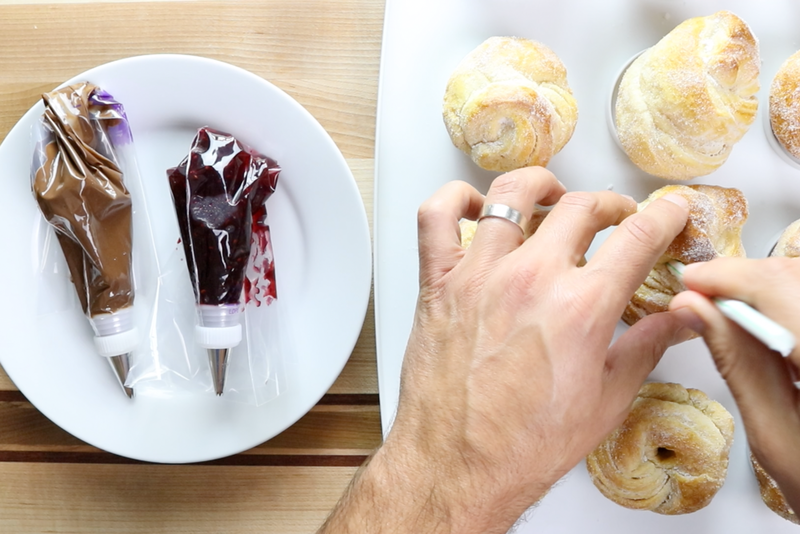 Take a straw and gently poke a hole in the top of the muffins you wish to fill. 12. Finish by dusting powdered sugar on top. You can put any type of filling in these crescent roll muffins or leave them without...it's up to you.